No matching events listed under Registration. Please try viewing the full calendar for a complete list of events. 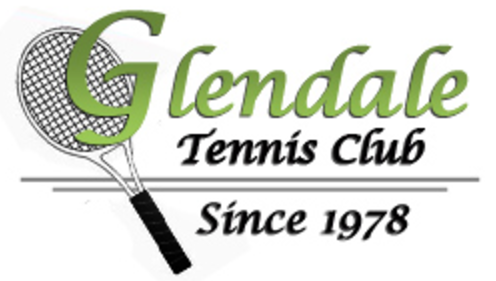 Glendale’s Junior House League drop-in runs on Sunday mornings starting from May 26th to August 18th 10:00AM—12:00PM. The format is double play. Prizes will be awarded to all kids every week. The cost to participate is $15 for the season. Season starts May 23rd and runs until the end of August. The format has changed this year. There will no longer be teams. You will be competing as an individual and accumulating points towards a prize at the end of the season. If you are playing on any of the Glendale Competitive Teams, ‘A’, ‘B’ or ‘C’, there is no need to tryout, just register for this league. You may be required to attend tryouts if you are not playing competitive or new to the league. There are 2 time slots – 7:00 and 8:30pm with mixed, men’s and women’s matches (to be determined based on the gender of members who register). The league conveners are Christina and Angelo Koichopolos. An informal social morning of doubles play for women and men of all levels. No pre-registration required, just show up. Alex is an expert at matching players. Starts at 9:00AM during May/June and 8:30AM during July/August. Welcome back to the 4 court Tuesday Night House League. Play will start May 7th and runs for 18 weeks including playoffs. Matches start at 6:45PM. Your matches will be at prescheduled times. We have room for 80 beginner to intermediate players. If you cannot play regularly, you may still join the “sub” list. Alex Lyttle and assistant captains will coordinate play. A great way to get to meet other players. Call Alex at 905-839-8984 for more information. An informal social evening of doubles play for women and men of all levels. No pre-registration required, just show up. Starts May 12th from 7:00 to 9:00PM. League plays on Tuesday from 9:00AM for 12 weeks starting in early June. Play vs other Durham area teams home and away. Open to A, B and C levels. Tryouts may be required. DRCTL teams play both home and away games throughout the Durham region. Play starts early May. Established in 1978, We are the largest community-based tennis club in Durham Region. We offer a wide variety of leagues, events, lessons and community outreach programs, for adults and juniors, at all skill levels. Join us!